I can check to see if someone is "on duty" if you like. There's a sticky at the top of the around the campfire forum that has references. We didn't see anything but heard one blow about 7:25. Got a little rain about 10. Glad we were in the ground blind. Not a lot of rubs on the unit we are in. Moving to unit C for next Sunday. Son has a HS bass tourney next Saturday. More upset with the law, I know it’s his job but **** opening morning at first light?! I was trying to be smart a chose a very small piece of land fare away from the rest but looks like I wasn’t the only one thinking that. You should blame the unethical hunters that were baiting game. They are the ones responsible for the FS LEO checking the unit at daylight. I saw 1 doe at about 50 yards but that was it. Scouted for about 2 years and saw lots of rubs and a few scrapes in one area. Oh I do blame the trash that can’t fallow simple rules. I don’t blame the officer, was just frustrating. I certainly understand. Good luck. Tree less than 30 yards from my blind: Sneeze. But really it teaches me I need to work harder or walk farther the. The next hunter. With everything I still had a fun day. Sat all day, had a doe blow at my blind... Pretty sure she didn't smell me or see me move, but she could tell the view was obscured. Lost an opportunity to shoot a doe when another hunter bumped her on his way in. Ended up meeting the guy on the way out. Good guy. So far everyone I have met in LBJ has been nice. Also, I have yet to take a deer with a bow, but this is the year, I can feel it. Hunted opening morning. Set up close to a private land wide open grass field where I've seen deer coming back to Public to bed. Sure enough, about 8:30 five does make there way towards me from about 300 yds. 3 break off in a trot, and likely jumped the fence NW of me, as I heard squirrels start to chatter that way, and also private land dogs barking. The other two took their time and came my way. They disappeared behind a trees that surround the fence. I guessed they would go left of my tree, but they went right! Couldn't switch back to that side in time before they hit thick woods. Would have been a 35 yard shot, tops. Heard squirrels chattering and barking again later. Now I know there are at least two places they cross, and I'm covering one. Good morning all around, my first opener on LBJ. I did hear two gun shots around 7:30 am. Who knows what that was about. Yotes? Hogs? ILLEGALITY??? hmmmmmmmmmm. Lots of gunshots out there. I typically assume ranchers in the area taking a pot shot at a yote. A couple units border landowners who have ranges too. I’ve had a couple sits that sounds like a war zone going on and the deer just didn’t have a care in the world about it. Yes it has been. Not today. Over looking the creek bottom this afternoon. Got out alittle early to catch one sneaking back in after lunch.Will update if I put a hypodermic in something. I will never disparage a hunter for a legal harvest! Looks tasty. I was lucky enough to get a neighbor about 5:30 this afternoon. Then at 7:15 we got about 20 neighbors across the fence on private land a howling, hollering and yelling at each other. I just got up and left quietly. Congrats man! Any harvest on public land is an accomplishment! Not to mention, smaller deer means easier to drag out. Is this the one you lost yesterday? Anyone seeing any turkey or pigs? Hogman, congrats on the harvest! Enjoy the rewards of your hard work. Should have specified, rifle shots! Man you got a good spot! I got the day off tomorrow finally. Going to be my first sit of the season. First light is my best bet at a harvest. Dang. The wind is still pretty well blowing the wrong direction. Gonna be a long day! Bring some 'OFF'. Skeeters are horrible. No skeeters for me. Ghillie suit treated with permethrin works just like a bug net, it also doubles as my blind. I have coated every stitch of clothing I wear outdoors in permethrin and it works WONDERS! I sat in my treated ASAT leafy suit last night as the entire woods sounded like a swarm of mosquitos, and not a thing as far as bites. It also keeps ants, ticks, chiggers, and spiders away. Heck, I even treat my backpack. I treat everything as well the night before and let it dry in at least until the temps get down below 55. Below that temp it kills most the biters bugs. Anybody see any deer moving this morning? 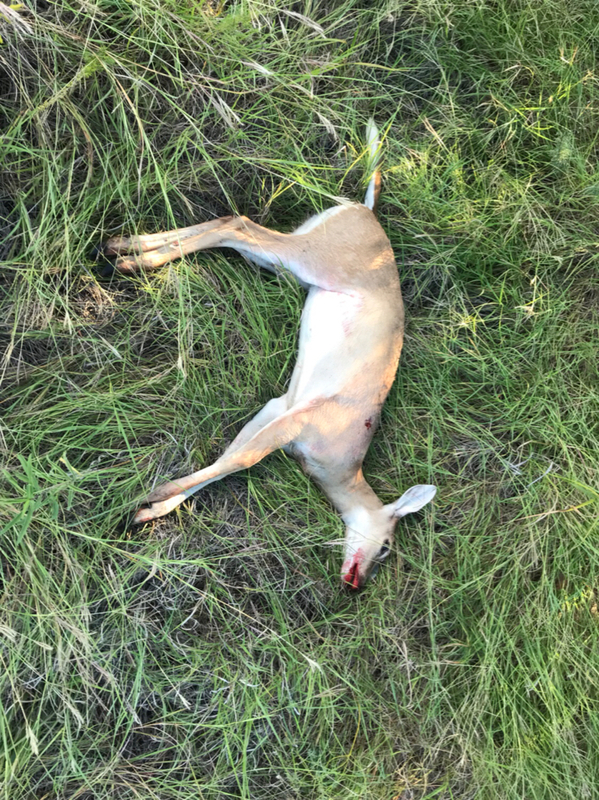 I missed a doe yesterday on Oklahoma public. 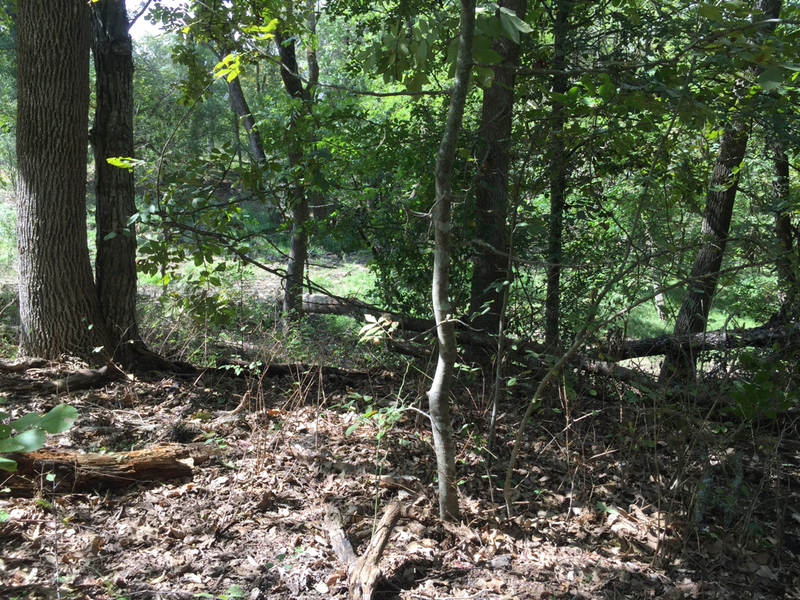 She, another doe, and a fawn were on their feet browsing at noon. Now, I had canoed a mile to get to the spot, so it was definitely low pressure, but with the cooler than normal temps expect movement at odd hours. I just got up a drove to the back of the unit I was hunting on. I saw a spike on its feet at 10:30. Watching me drive by. Any of you in unit 50 at the back? Got a neighbor alittle close. Did not even see him slither up there. Little joker lucked out, I did not have my machete. I know that spot. Bumped a deer out of it scouting. You guys talking about walking a mile back what's your method once you have a deer down? Just curious, trying to decide what I am going to carry with me out there? I know this is personal to each. I can't make it out there till middle of next week. 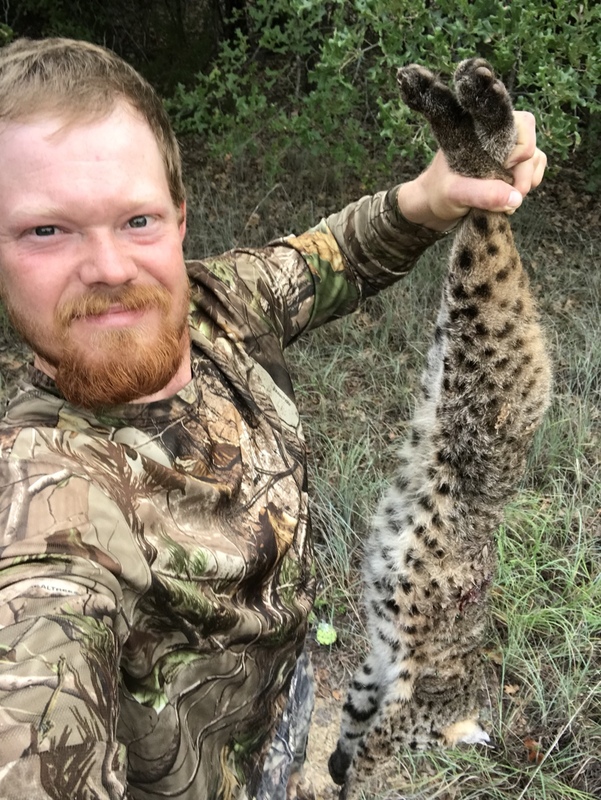 Hunt In: Oklahoma , and Wichita co. I shot a doe 1.5 miles in last season. Luckily there was a guy camped at the gate with a game cart. Otherwise I would have quartered her where she died and hauled out in game bags. Just meat and leg bones dont weigh much. YouTube gutless method if you are not familiar. This is how I do it. Wrap in a double layer tarp, run paracord through all the grommets, attach rope, and walk. It makes a great drag. Also, I have considered quartering, but I don’t know wether the USFS rules allow it. I must not keep my eyes peeled as well as I thought out there. 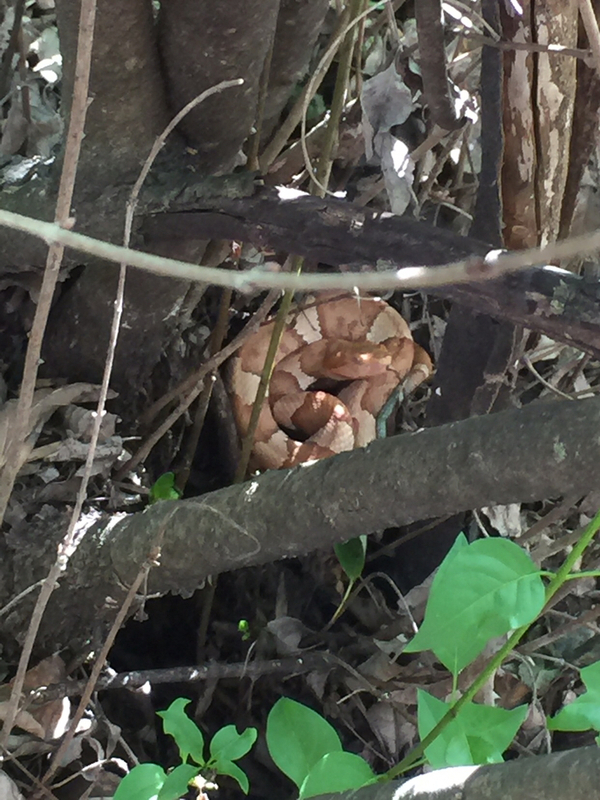 Never seen a copperhead or rattle big out there.